I've explained on the Mac Power Users how I refuse to evangelize Apple products to people. If you prefer to use your Tandy TRS 80 to get work done, you have my blessing. Everybody's got their own pet technology and whatever does it for you is just fine with me. One product which I will evangelize however is 1Password. The online world is becoming an increasingly dangerous place. If you don't have a good system in place to protect your information and passwords, you are asking for it. Over the years I've come to know the people behind 1Password and they get it. 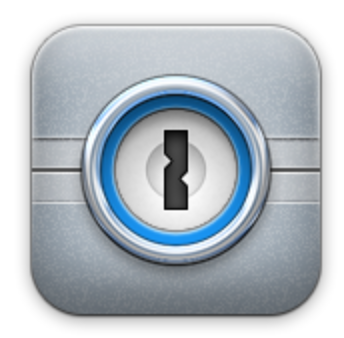 The most recent version of 1Password 4.0 for iOS proves this even further. The application does a top-notch job of simplifying the process of using safe, secure, passwords and much more. It helps you create them. It helps you track them. And it helps you secure information on your iPad and iPhone in a secure and unobstructive way. There is a long list of improvements. This newest version ups the game for user interface, which is saying something because version 3 was no slouch. Often people complain that applications of this nature are too difficult to figure out. 1Password attacked this problem in version 4.0 with an Inigo Montoya level of obsession and the proof is in the pudding. I've been using the beta version for some time and I think it is fantastic. The app is currently priced at $8 but will eventually go up to $18. I already bought my copy. What are you waiting for? Just go buy it.